♥ Mama 2 Multiples ♥: Dreft Baby Detergent Review & Giveaway! All of our children have had sensitive skin as babies, and Merasia still has very sensitive and dry skin even now at four years old. That's why it's so important that we choose our laundry detergents very carefully, and that's even more important with a new baby around, because you just never know what they are going to be allergic to or have a slight reaction to with soaps and other products. 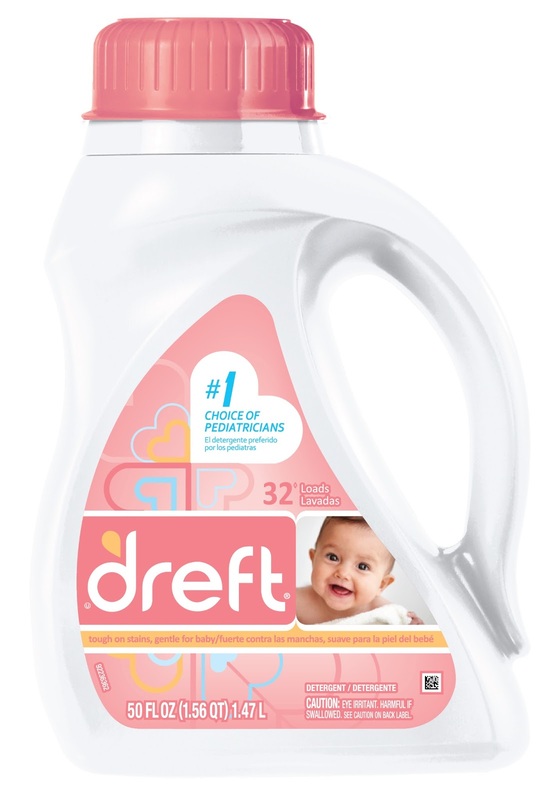 "Dreft is the baby laundry detergent most recommended by pediatricians and the brand that parents have trusted for over 75 years to leave their little one’s clothes and linens soft and comfortable. As gentle as water on baby’s skin and specially formulated for the unique needs of baby items, parents have relied on Dreft to not only help prepare their little one’s essentials before their arrival, but also to keep those items clean and safe once they’re brought home from the hospital. Complete with a scent that's truly beloved by parents (that's also gentle for baby), Dreft leaves little one’s clothing as clean and as soft as can be, bringing cuddle time to a whole new level of warm and fuzzy." 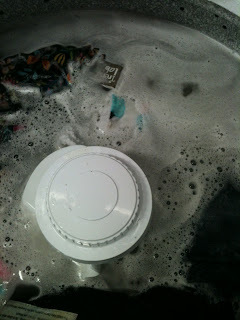 I had heard of Dreft laundry detergent before in the past but had never tried it out. I heard rave reviews, but just never got around to trying it myself for one reason or another. So, when I received an email asking me to participate in a new blogger trial program for a new Dreft promotion, I jumped at that chance! I was sent 15 packets of Dreft laundry detergent to use for my review. Each packet is good for 1 use. The first thing that struck me about this detergent was the scent. It smells SO GOOD! I remember smelling Dreft 4 years ago while in the grocery store and I wasn't impressed, so I don't know if it was just a bad bottle, or if they have worked on the scent over the years and made it better. Regardless, I. LOVE. IT!! 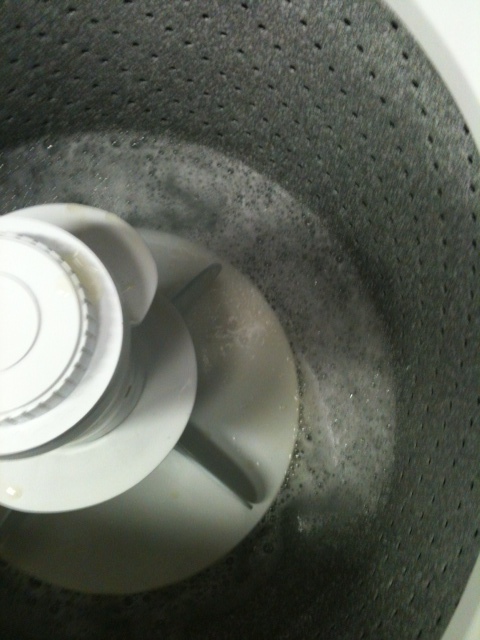 It also lathered up really well with even just one packet in the washer. That's rare with a lot of other detergents! I poured a little Dreft on this stain, let it sit for a couple minutes while I loaded the rest of the clothes into the washer, then I scrubbed the stain with the Dreft a little bit, and threw the onesie in with the rest of the laundry to let the Dreft and washing machine work their magic! I was very happy and satisfied when the laundry was done and I saw that the stain was pretty much gone from the onesie!! 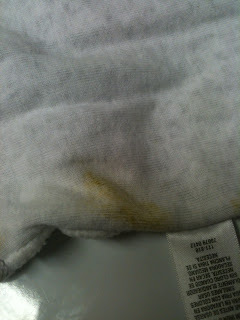 I thought this stain would never come out, since it never did when I washed it with our regular laundry detergent soon after it happened! This was one of my favorite onesies for Kendall, so I am beyond glad the Dreft worked and removed the stain! I was so very, very happy with how well Dreft worked, and just the overall performance, period, of this laundry detergent. I would definitely recommend this to friends and family, and would definitely purchase it myself for regular use in the future! Be sure to "Like" Dreft's Facebook page and check out their Royal Baby Name Bracket and Heir to the High Chair activities they currently have going on on Facebook right now! 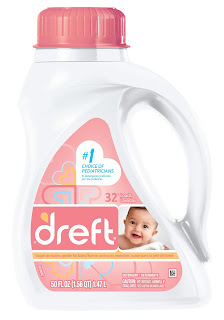 Purchase it: You can purchase Dreft at your local grocery or department store! WIN IT: 3 lucky readers of Mama 2 Multiples are going to WIN a packet of Dreft laundry detergent (good for 1 use per packet) just like I received for review! To enter, simply follow the instructions below and fill out the giveaway form! Good luck to all! **DISCLAIMER** I received the above product(s) from Dreft free of charge in exchange for an honest review. No other compensation was received. However, all opinions are strictly my own.